Internal divisions in the government have hamstrung Brexit negotiations, a group of MPs has concluded. The House of Commons EU Scrutiny Committee took evidence from Brexiters Dominic Raab, Steve Baker, and Suella Braverman during its enquiry. Evidence from the Leave-backing MPs suggested that separate - and sometimes conflicting - policies were developed by the Department for Exiting the EU and 10 Downing Street. "The outlook for the US economy remains strong relative to the rest of the world. Job numbers missed expectations this month, but the labour market remains tight and wage growth is on the rise." However, he says that if wages continue to rise the Fed could tighten monetary policy "to battle a perceived inflation threat". This "could contribute to greater volatility as we move through the year." Wall Street has opened sharply lower after data showed US job growth almost stalled in February, adding to global growth worries sparked by weak China export data and weakness in eurozone. The Dow Jones Industrial Average fell 207.15 points to 25,266.08, the S&P 500 lost 22.52 points, falling to 2,748.93 and the Nasdaq Composite dropped 85.11 points to 7,336.36. EU antitrust regulators opened an investigation into German utility E.on's acquisition of Innogy as part of an asset swap with competitor RWE, saying the deal may reduce competition in Germany and other EU countries. The European Commission said it would decide by 23 July whether to clear or block the deal. Last month E.on chief executive Johannes Teyssen said the EU investigation was expected because of the size of the deal. The US jobs growth figures for February were "a major miss" according to Neil Wilson of Markets.com, "coming in at just 20,000 in February versus expectations for 180,000", he says. "This was one of the weakest readings we have seen in years and the initial market reaction has been to sell equities and the dollar as Treasuries were bid. "Dow futures were off 200 points, while the dollar index slipped from its highs of the day. Amid fears of a global slowdown in the wake of the ECB meeting and the Chinese data, this will weigh further – but it could prove temporary." The Dow Jones futures were down 0.8% or almost 200 points. Average hourly earnings rose 3.4% from a year earlier, more than expected. There have also been some revisions to previous data. The change in total non-farm payrolls for December was revised up from 222,000 to 227,000, and the change for January was revised up from 304,000 to 311,000. The US Bureau of Labor Statistics said that with these revisions, employment gains in December and January combined were 12,000 more than previously reported. More on those job numbers from the US Bureau of Labour Statistics. The 20,000 increase was less than the 180,000 expected by economists and the weakest pace of hiring for more than a year. Total nonfarm payroll employment changed little in February, adding 20,000. The unemployment rate declined to 3.8%, the US Bureau of Labor Statistics said. This is a great read, unfortunately it is behind the FT's paywall. Sarah Gordon is leaving the Financial Times after 20 years and has some interesting insight into the world of business and finance. "As a child, lucky enough to grow up in comfortable circumstances in London, I simply assumed that the world was run efficiently by the grown-ups. "It has been a slow — and sometimes painful — dawning that in fact most companies are run pretty badly. She is also concerned that ignorance of financial affairs is "widespread" and "dangerous". Understanding how insurance or interest rates work is a "basic life skill" and should be taught at school she said. Theresa May is giving a speech in Grimsby. She said "no one knows" what will happen if her deal is rejected by MPs at next week's vote. "Next week MPs in Westminster face a crucial choice: whether to back the Brexit deal or to reject it. Back it and the UK will leave the European Union. Reject it and no one knows what will happen. "We may not leave the EU for many months, we may leave without the protections that the deal provides. We may never leave at all." It's been years in the making but DowDuPont - formed by the merger of the two chemical giant in 2017 - is edging closer to splitting itself up into three parts. The material science arm, Dow, will be spun off on 1 April. Corteva, the agriculture unit, will be carved out of DuPont, chemical maker, on 1 June. It was part of the plan that was announced when the tie-up between Dow and DuPont was announced in 2015. The FTSE 100 declined through the morning and is currently trading around 1% lower at 7,091. GVC, the owner of Ladbrokes, is the biggest loser with a 14% fall. Shares tumbled after news emerged that the chairman and chief executive had been selling shares. Mining shares are also under pressure. An important piece of economic data is released later this afternoon. The US Labor Department will publish its jobs report for February. It is expected to show that the US economy created 180,000 jobs last month. That would be the smallest gain since September. "We are due for some pay back after strong job growth over the last couple of months," said Ryan Sweet, a senior economist at Moody's Analytics. The US economy showed signs of slowing last last year, but so far that has not affected jobs growth. The data is released at 13:30 GMT . Consumers and small businesses in dispute with a financial institution could be awarded much more in compensation from the official arbitration service from April. The Financial Ombudsman Service currently has powers to award up to £150,000 if it finds in favour of a complainant. That limit will rise to £350,000 for upheld complaints about the actions of financial firms on or after 1 April. Wrongdoings which occurred before 1 April can lead to an award of up to £160,000. The ombudsman is taking on the cases of small businesses unhappy with their treatment by financial firms for the first time. Anyone can go to the ombudsman if an initial complaint to a firm is rejected. The increase in maximum awards has been confirmed by the regulator, the Financial Conduct Authority, following consultation. Remember last June when shoppers had reported being stuck in queues as Visa transactions were unable to be processed? The payment system accounts for £1 in £3 of all UK spending. The Bank of England said today that the incident had the "potential to affect confidence in the financial system". "In light of this, and the importance of ensuring implementation of the remediation actions, the Bank has decided to use its statutory powers to direct Visa Europe to fully implement the recommendations of the independent review," the Bank of England said. The review was commissioned by Visa after incident. The Bank of England said it was using its powers to require Visa to appoint accountancy firm PricewaterhouseCoopers to monitor its implementation of the recommendations. The Norwegian sovereign wealth fund has stakes of around 2% in oil companies listed in London such as Shell and BP. Shares in both companies were down around 2% as the Norwegian government announced its plan for the fund to reduce its exposure to the sector. Norway is to drop oil and gas stocks from its investment index. The country's sovereign wealth fund - built on the country's oil reserves - is the largest in the world. "The Government is proposing to exclude companies classified as exploration and production companies within the energy sector from the (fund) to reduce the aggregate oil price risk in the Norwegian economy," the finance ministry said. "Exploration and production companies will be phased out from the gund gradually over time," it added. 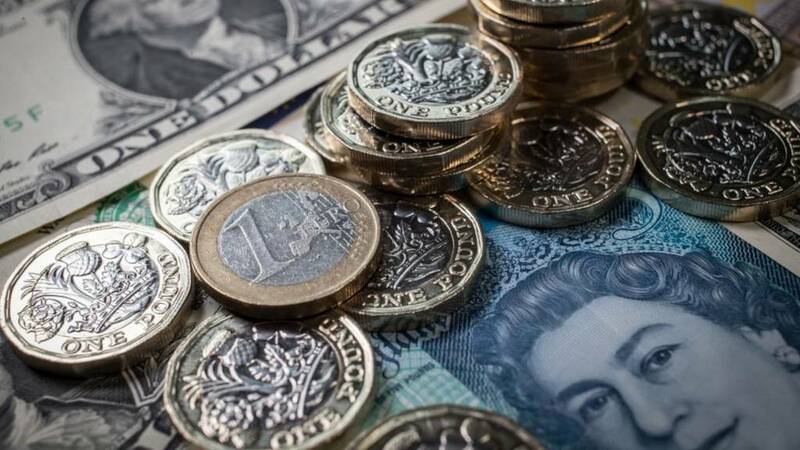 David Cheetham, chief market analyst at online trading company XTB notes that sterling has had a mixed week - slipping against the dollar but up against the euro. The markets do not seem too worried about the possibility of Theresa May losing the Brexit vote next week as they are working on the assumption that any defeat would led to an extension of Article 50.